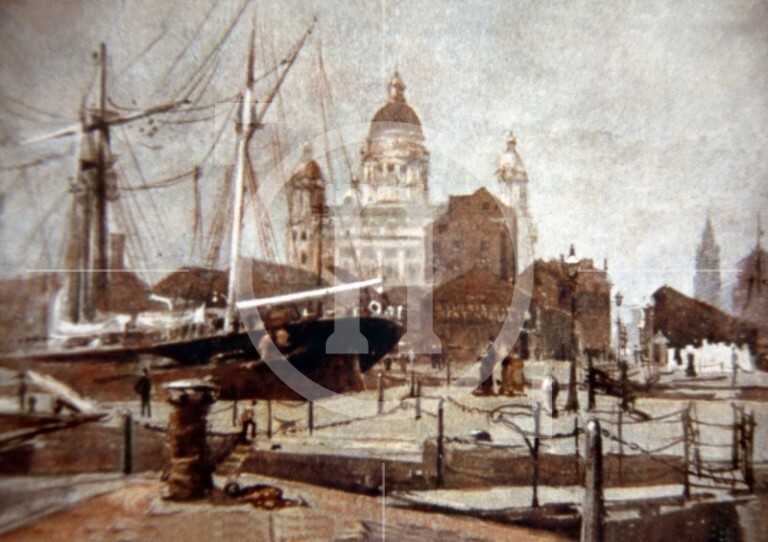 In 1898 it was agreed to fill in George's Dock which linked to Canning Dock on its north side, running all the way up to Water Street. At the same time plans were drawn up to construct a new office at the south of the site capable of accommodating all of the Mersey Docks and Harbour Board's disparate staff. William Brown & Sons of Manchester were ultimately awarded the building contract and set to work in 1903 on a slightly revised version of Briggs and Wolstenholme's winning design, judged by no less than Alfred Waterhouse RA. Around the time this picture was taken, staff were decanted from their former offices in the Old Custom House on 15 July 1907. The remainder followed not long afterwards.